“The future” plays a dominant role in everybody’s lives. But for many, it is a blur and mystery, a wall of fog in which we struggle to see beyond what is immediately in front of us. 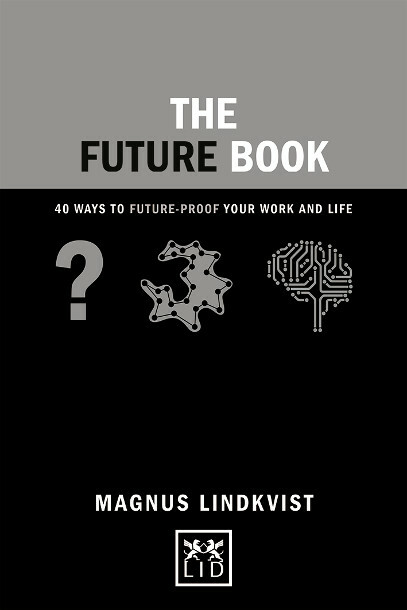 By leading futurist Magnus Lindkvist, this book provides the means and tools to plan for and navigate a path into the long term to your advantage. Anyone who wants to have a better, more inspiring life in the future has to plan for it – to future-proof it. In this powerful little book, Lindkvist presents a set of practical and easy-to-apply tools that will help you to create a mindset and path for tomorrow. A primer for creating a better future for yourself. ● Contains 50 proven tools and ideas to enable you to assess your future and the path to success. ● Stylishly presented and easy to understand and apply. ● “The future” is a perennial subject on virtually everyone’s mind.